Next up in our countdown of the top posts of 2016 on The Logonauts: the most-read author and illustrator posts from this year! I love featuring the work of inspiring authors and illustrators, and this year I had the good fortune to interview some too! Click here for more Top Posts of 2016 or click here for more featured illustrators. 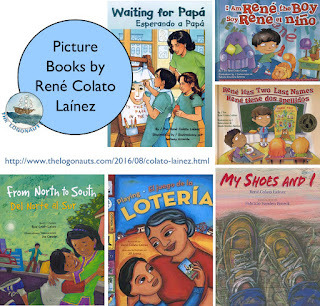 I was delighted when Lee & Low contacted me about an opportunity to interview René Colato Laínez. 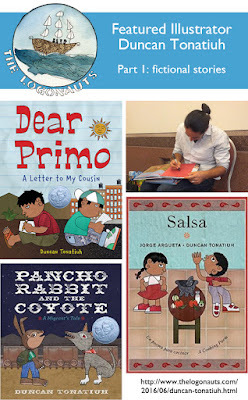 I wrote an initial post with a review of his current picture books, as well as the interview post that also includes my review of his newest book, Mamá the Alien / Mamá la Extraterrestre. 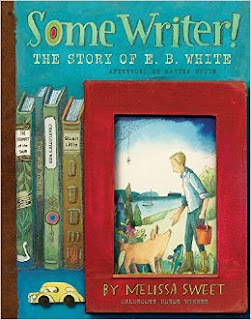 Another great author to get to know! 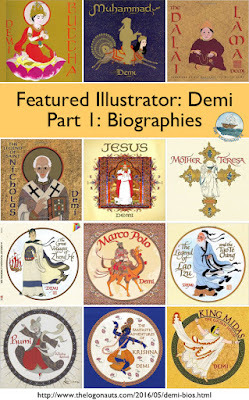 Our top author / illustrator post was my interview with author Shoumi Sen about her From the Toddler Diaries series. 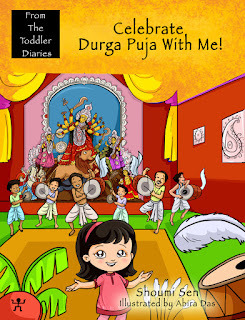 These are great books to introduce youngsters to different popular Indian holidays. Read on as Shoumi talks about her inspiration for the series. Plus ... big news from Shoumi this week. 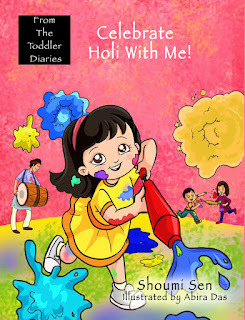 A second book in the series, Celebrate Holi With Me, just arrived in January 2017! Who are you favorite authors or illustrators? Click here for more featured illustrators or click here for more Top Posts of 2016. Thank you Katie, this is such a lovely surprise! Thank you for the opportunity to share my work with you. Happy New Year!